The Padre Island National Seashore is the longest stretch of undeveloped barrier island in the world. It is also home to one of the largest nesting grounds of the endangered Kemp’s ridley sea turtles. The park contains 70 miles of coastline, acres of dunes, prairies, and wind tidal flats, all teeming with life. It is known for its sea turtle releases throughout the hatching season each summer. From one side of the park you can enjoy the beach along the Gulf of Mexico. From the other side, enjoy fishing on the Laguna Madre. Five camping areas are available for public use from primitive to areas with restrooms and showers. The park does not have RV hook ups, but an RV dump station and water filling station are available. The park offers year-round education and activities for visitors of all ages. Entrance and camping fees vary based on age, vehicle, daily, weekly, etc. Nesting season for sea turtles at Padre Island National Seashore is from early spring until late July or August. Some 1,500 people attend the early morning releases, which are announced on a Facebook page. For information on future releases, call (361) 949-7163 or visit the turtle's Facebook page. You can watch as the most endangered turtle species in the world — the Kemp's ridley or Atlantic ridley sea turtles — struggle to make a comeback. During the summer nesting season, the park rangers monitor public releases as nests hatch. Kemp's ridley turtles make their home at the Padre Island National Seashore. 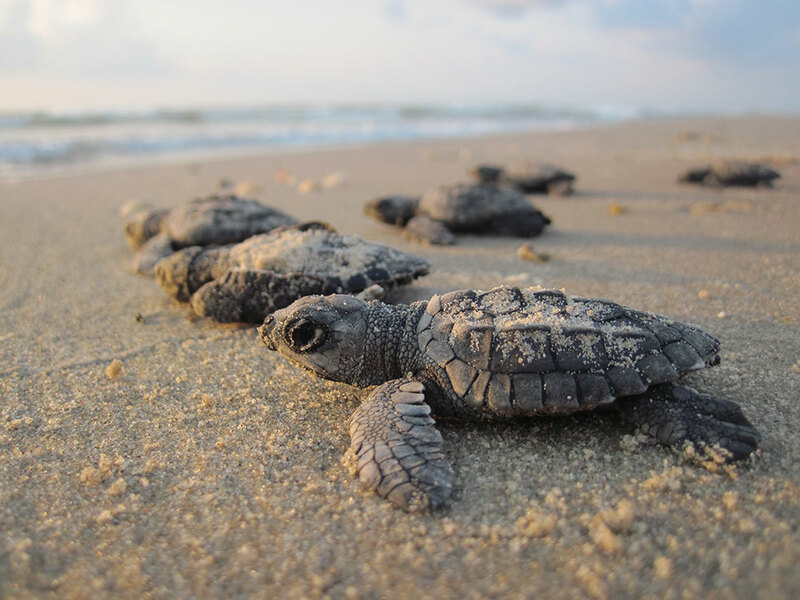 As the site of the largest nesting ground for Kemp's ridleys, the National Seashore has made sea turtle conservation a central focus of its purpose and programs. In fact, the visitors center at the seashore is a replica of a nesting turtle, including a model of the nest as seen under the sand. Staff and volunteers continually comb the beach for trash that many of the turtles mistake for food, causing them injury. During nesting season in the spring, human helpers elsewhere in the region seek out nesting turtles and move them to the Padre Island National Seashore nesting facility. There, the turtles — along with 380 species of birds — can be better protected from natural hazards like hot tidal surges, predatory crabs, raccoons and other threats. Volunteer efforts are always encouraged during the Kemp's ridleys' nesting season in early spring through July. After the hatchlings emerge, the seashore initiates public release dates during the late spring and summer months. The public releases allow people to watch the hatchlings crawl down the beach and swim out into the ocean for the first time. For release dates, call the Hatchling Hotline at (361) 949-7163. 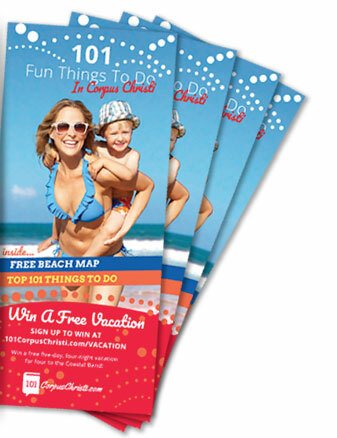 Admission to the Padre Island National Seashore is $10 per week or $20 per year. Money collected at the entrance station supports the educational programs within the national seashore. You also can opt to adopt! By purchasing a $10 adopt-a-turtle packet, you can ensure the proceeds will directly aid in the conservation efforts of the Kemp's ridley. The Malaquite Visitors Center at the national seashore is located at 20420 Park Road 22, Corpus Christi, and is open from 9 a.m. to 5 p.m. seven days a week. Visit the park's website for more about camping, volunteering and to learn about how to help keep the Kemp's ridley sea turtle safe. For more on sea turtles in Corpus Christi check out the National Park Service website.